Be Consulting and Hands On Atlanta have teamed up for a hands on workshop to teach you how to utilize Instagram for your nonprofit. Come ready to learn and leave with tools, strategy, and a plan for success! Whether you want to attract volunteers, promote an upcoming event or fundraise, Instagram is a powerful tool that can be used alongside existing marketing endeavors to elevate your progress and success. If you or your team is looking for better ways to improve audience engagement, content ideas, or if you simply want to know why posting on Instagram works, this workshop is for you. The workshop will take place on Wednesday, May 23 from 9:00am - 12:00pm at Hands On Atlanta, located at 600 Means St. Suite 100, Atlanta, GA, 30318. Hands On Atlanta nonprofit partners get free access to this workshop with their membership. Metro Atlanta nonprofit and nonprofit marketers can join for just $25! Registration includes coffee, refreshments and a light breakfast. Your company has a mission to inspire change, make a positive impact and leave your community a little better than you found it. Be Consulting can help. The digital marketing strategy for your brand should authentically reflect the vision and heart of your company. From the key messaging used throughout our website, social media, blogs and e-blasts to the images and video you produce to tell your story, the digital marketing should influence action from your community that sparks social change, a hope for a better future and strengthens human connection. Click here to learn more about Be Consulting. After a decade of experience in specialized PR and digital marketing, Jessi deﬁnes the perfect campaign as authentic, educational, and original. 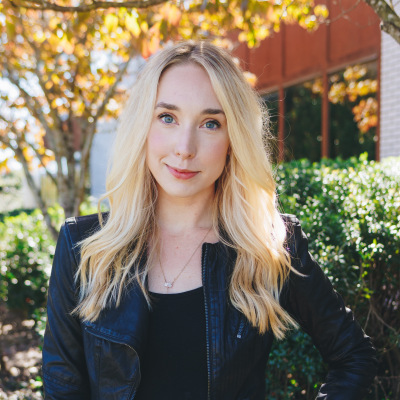 Jessi leads innovative content strategy and tactical storytelling to help brands inspiring social good achieve long-term success in growth and brand awareness. Jessi’s professional perspective coupled with a creative approach delivers a marketing strategy that aids in establishing a trustworthy brand. Christina is passionate about helping brands articulate their unique, mission-focused story and grow an engaged, loyal community. She understands what it takes to liaison between multiple departments, partners, stakeholders, and sponsors when auditing and implementing strategic campaigns. Christina leads operations and project management to develop opportunities for organizations that spark social change.